Home / Blog / What happens to your scrap car when sold to wreckers? It is normal for everyone to develop a strong bond with their vehicle. But when that beloved automobile gets old repairing it is no more a feasible option. 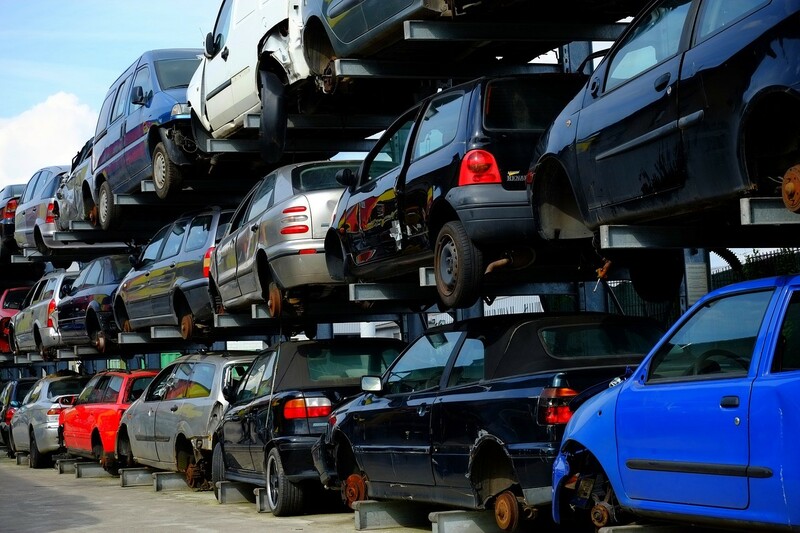 That’s where you can make the right decision of selling your scrap vehicle to your local scrap car buyers. However, once you make this decision, you will be curious to know what exactly happens to it? What will be its ultimate fate after it is taken to the wrecking yard? As we know it, auto wreckers purchase all sorts of broken and damaged vehicles. They are even ready to pay best dollars for the useful parts and scrap material in the vehicle. Once the payment is made, they tow away the junk vehicle to their salvage yard. There it is lined up to be wrecked and recycled in an environmentally friendly way. If you are selling your vehicle to a Wrecker, keep reading to learn about it. After the vehicle is taken to the scrap car yard it is completely wrecked for parts. This encourages a reputable vehicle wrecking business to accept a large variety of vehicles. Most of them are adequately skilled to salvage all sorts of makes and models for parts. Basically, the auto dismantling process involves pulling out components and then separating good working parts from the ones that are not useful. The next major step is to recondition the useful parts by using eco-friendly techniques. Once it is done, the refurbished components are tested and listed for sale on the second hand part inventory. So, cash for scrap car companies prove to be the best source when it comes to buying used spare parts at a very affordable price. Not to mention, their second hand components are fully checked to assure the best quality performance. Whereas the auto parts which cannot be re-used in any way are offered to scrap metal recycling yards. This decreases the need to mine fresh metal. It is one of the best benefits of selling your scrap vehicle to a wrecking company. They make sure to recycle not only the usable items of the vehicle. Rather, they focus at recycling all of the vehicle. By salvaging and recycling its metal content they help in meeting the demand for freshly mined metals. Also, it controls the level of pollution released into the environment and balancing the climate change. Before a car is sold to an auto dismantling firm it needs to de-register. Usually, the registration of a junk vehicle already cancelled when it is sold to a wrecking company. Otherwise, the owners must ensure to cancel the registration to before its removal. In addition, you will need to take off the number plates and give them to Department of transport. Follow this if you are cancelling your vehicle registration. How about getting rid of your scrap car for cash? If you are having a vehicle that is completely written off, it will be at the end stage of its life. At this point, it will be foolish to let your old clunker sit around at your vehicle. Therefore, it is best to sell it to a trusted and experienced cash for cars in Brisbane. They will safely take away your junk automobile after handing over the best cash. After its pick up they will not dump your automobile in a landfill or abandon it on a random street. Their team will take care to recycle and dispose it in the safest possible way. So, contact the best Auto Dismantlers in Qld today!